Google loves innovation and creativity. They constantly add new features to their products, the biggest lately being the revamp of their search page. 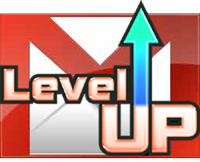 Gmail being their #2 product with millions of users and businesses using it as their main communications hub, it’s often a focal point for updates and tweaks as well. We all love the new few stuff, but over the years things are starting to get a bit cluttered. Google decided it’s time to remodel, so prepare for a whole new look! 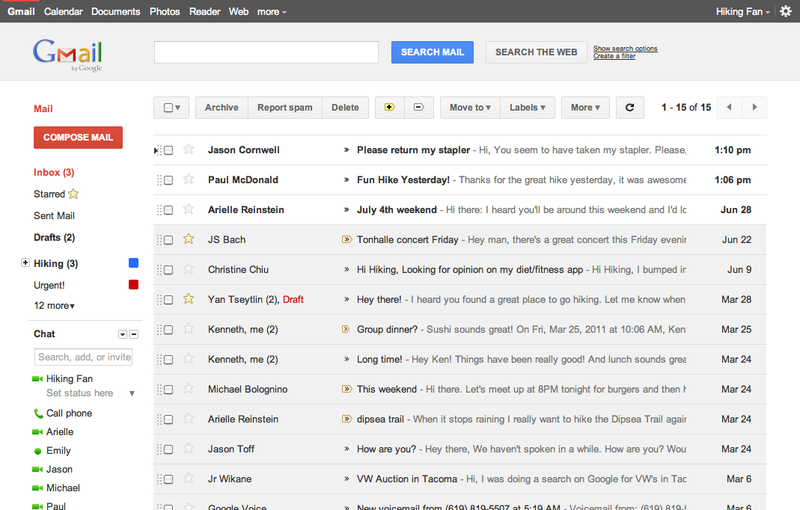 Both Gmail and Calendar are scheduled for new interfaces this month to tighten things up and give a consistent look. Calendar features should be slowly rolling out in the coming weeks, but Gmail’s new look is available for a test drive now. You can get a sneak peak by selecting a Gmail theme: click the “Options” icon in the upper right corner of your mail page (the one that looks like a cog), select Mail Settings, Themes, and choose either Preview or Preview (Dense). Cleaner, sharper, and a bit more organized. I actually dig the new look. It’s less cluttered and more intuitive. The standard Preview theme had a bit too much white space for me, so I prefer the Preview (Dense) version out of the two. I noticed performance seems to be improved as well. Hopefully this will make the interface more usable for people on slower connections. Changes to the Calendar’s interface are going to be along the same lines. A cleaner layout, better controls, and design changes will begin rolling out automatically, so you won’t need to change anything. I assume that all of Google’s apps services will be getting the same treatment eventually. What do you think about the new look? A step the right direction, or should they leave things the way they are? So happy to finally see another Toast.net user ( 5+ years). Like you, I have experienced more aggravation with this Gmail program since Toast switched to their service than I care to speak about, and unlike their usual efficiency, support was little help. I’m ready to change to another ISP. Good luck. Exactly what problems are you having? 16 million people are using Gmail and it continues to grow. If it wasn’t the best mail system available 1) people wouldn’t use it, and 2) TOAST.net wouldn’t provide it. like some of your other commentators here am not “pleased” with the e-mail change. For one thing it comes across TOO BUSY…you had a nice e-mail page, easy to navigate, knew were go for any saved e-mails. But the worst part is posting the current e-mails right on your home page, anyone around you immediately can see your mail, which some people might not like. And also seems like someone is able to see the beginnings of your e-mails cause i had dicussed an annuity with someone and lo and behold I had advertisments about investments and Swiss annuities on the page…I don’t need that and neither do people who correspond with me. I think this format is horrible, if I had wanted to have Gmail I would have gone with it on my own. I like someone else have dial up and didn’t need one more hassle to contend with…wish you would go back to the old format…don’t hold my breath, right?? 1) The update in the article above addresses exactly what you are complaining about- the interface has gotten too busy over the years. As mentioned above, if you log into your email, click the Settings icon (the one the looks like a cog or a gear in the upper right corner), and select “Mail Settings, you’ll have the option to choose a new theme. Try choosing Preview or Preview (Dense) and see if you like it better. Your email screen will look like the screenshot in the article. 3) The advertisement situation you described is how ads are generated on the entire Internet, not just on your email. Web pages look for key words that are either displayed on the page or are typed by you. These keywords are matched up with a database of advertisements and shown on the screen. For example, I recently was looking for a particular brand of car. After I went to a few websites that had reviews of the car, all of the ads on different websites had to do with car sales and car financing offers. This targeted advertising is what funds the Internet and keeps websites free of charge. With out it, content on the Internet would be prohibitively expensive and nobody would use it. Having a private Gmail account through TOAST.net gives you a huge amount of storage space for emails (7GB! You never have to delete an email! ), the best spam filtering in the industry, an office suite to create documents, spreadsheets, and presentations (No need to purchase Microsoft Office! ), chat, scheduling, and syncing with your smartphone. The system is so impressive that Microsoft is now starting to copy it with their Office 365 product that was just introduced. Previous Previous post: Mozilla: We Don’t Do Enterprise. Google: WE DO!